The IAIA Artist-in-Residence (A-i-R) Program hosts artists for variable-length residencies taking place on the Institute of American Indian Arts (IAIA) campus in Santa Fe, New Mexico, during the Academic year. Each A-i-R program provides opportunities for Native and First Nations artists to travel to the IAIA campus in Santa Fe, New Mexico, for a meaningful period of art-making and interaction with IAIA students, staff and faculty, and the Santa Fe arts community. This journal is a forum for IAIA students to write about contemporary Native American and First Nations artists participating in the A-i-R programs. Meghann O’Brien, a Haida, Kwakwaka’wakw, and Irish artist, is particularly known her fine Chilkat and Ravenstail weavings. O’Brien shares her personal experiences and artistic philosophies as she explores ethical fashion. 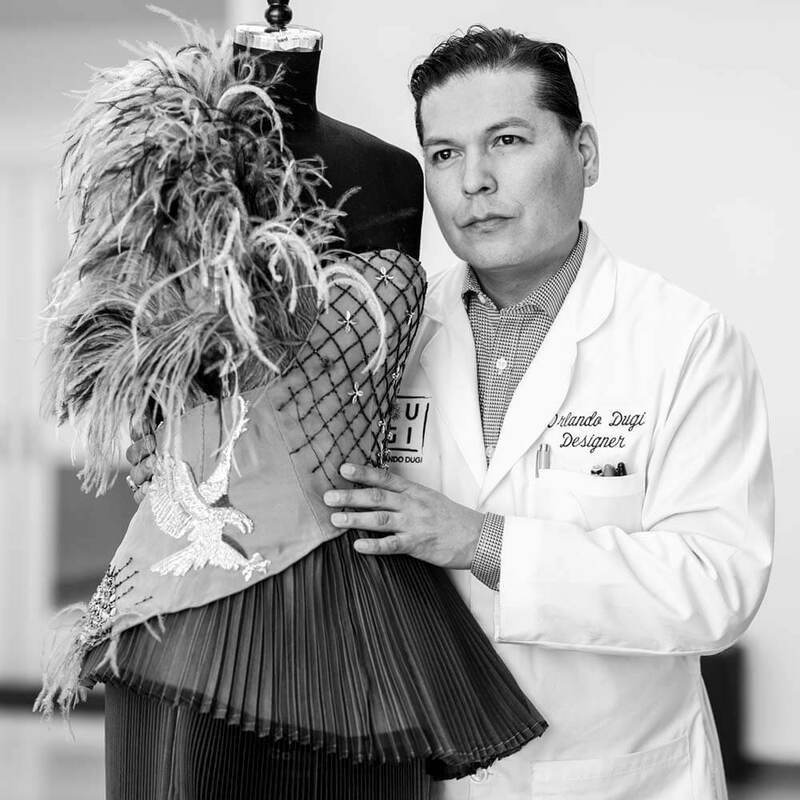 Diné fashion designer Orlando Dugi captures people’s imaginations with his world of glittering glamour. At IAIA, Dugi focused on bringing several dresses from his Fall/Winter 2018 collection to life. Oglala Lakota artist and IAIA alumnus Micheal Two Bulls, guided by a commitment to his community, used his time in residence to develop work for Takuwe, an exhibition raising awareness of the 1890 Wounded Knee massacre. Lara M. Evans is an artist, scholar, curator, and an enrolled member of the Cherokee Nation. 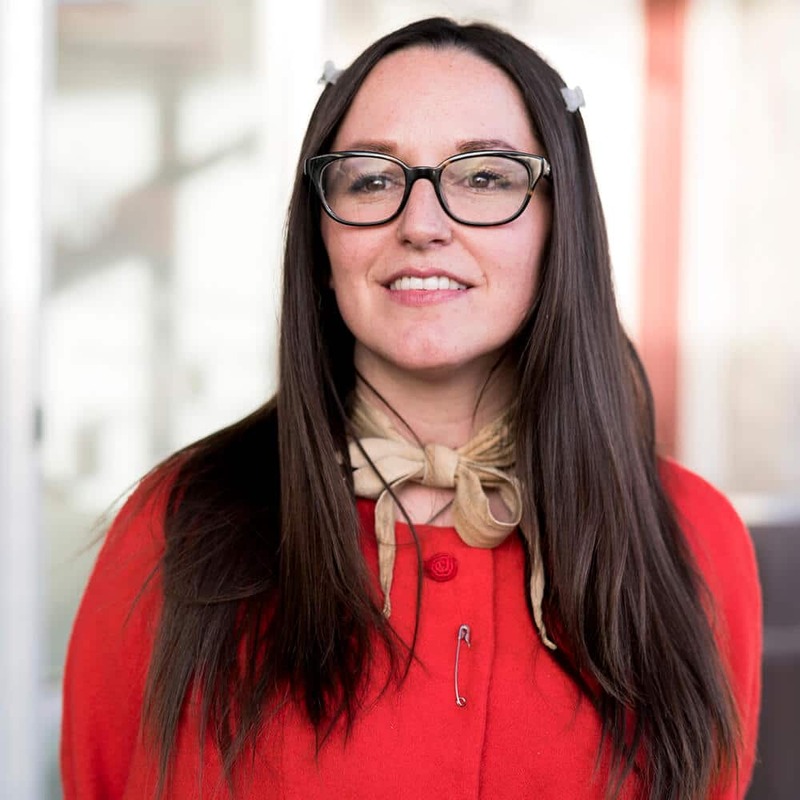 She earned her PhD in art history at the University of New Mexico in 2005, specialization within Native American art history is contemporary art. 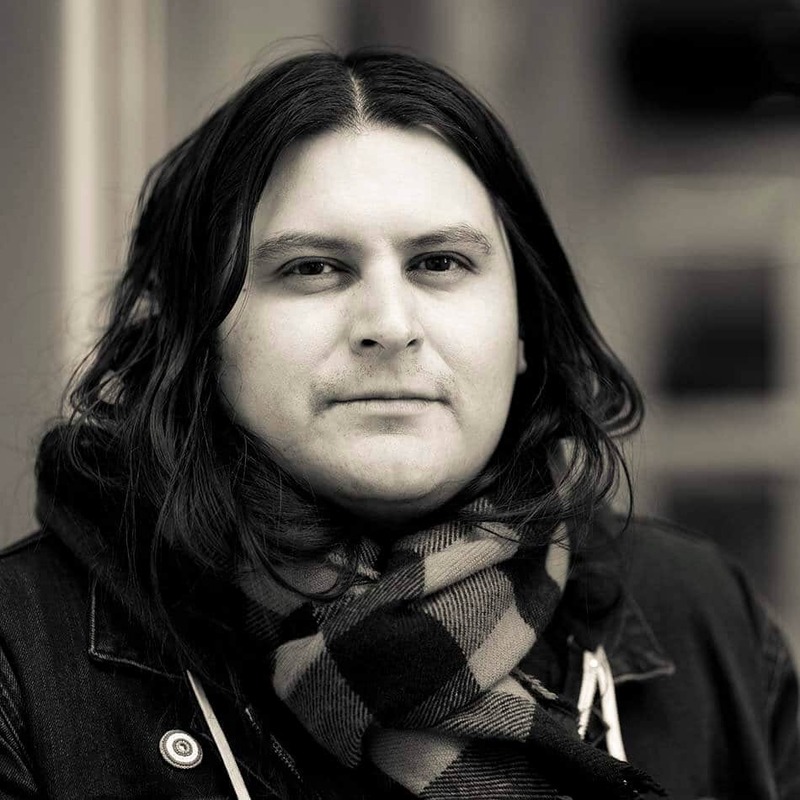 Dr. Evans joined the Museum Studies department at IAIA in 2012 after eight years as faculty at The Evergreen State College in Olympia, Washington. 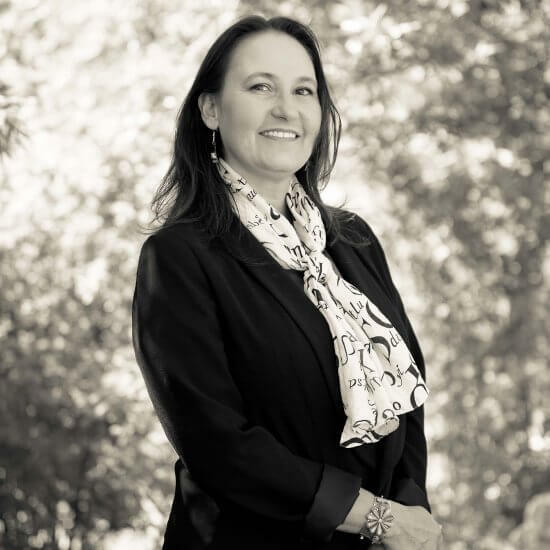 Since 2015, Dr. Evans has also been Program Director for the IAIA Artist-in-Residence Program (A-i-R), which brings 12-14 Native American artists to campus for month-long residency sessions each year. Dr. Evans’ curatorial projects at the IAIA Museum of Contemporary Native Art have included Now is the Time: Investigating Native Histories and Visions of the Future (2017) and War Department: Selections from MoCNA’s Permanent Collection (2015–2016). The Institute of American Indian Arts (IAIA) is the only four-year degree fine arts institution in the nation devoted to contemporary Native American and Alaska Native arts. Offering undergraduate degrees in Studio Arts, Cinematic Arts and Technology, Creative Writing, Museum Studies and Indigenous Liberal Studies, and graduate degrees in Creative Writing, IAIA has graduated more than 3,800 students, and welcomes students from the 567 federally-recognized tribes and non-Native Americans looking to obtain a world-class arts education. In any given year, as many as 112 tribes are represented on campus, with about 20 percent of its student body non-Native American, adding to the vibrant cultural mix of IAIA’s diverse and welcoming students, faculty and staff.